Shannon Bennett is one of Australia’s most celebrated chefs and restaurant entrepreneurs. He’s an advocate for quality appliances and stresses the importance of investing in a good oven, cooktop and refrigerator. Bennett, who is the owner of a multi-million dollar hospitality empire that includes Vue de monde and Burnham Beeches, is also a mentor for aspiring young chefs. He has inspired millions of home cooks as well, starring in the hit reality TV series MasterChef. He is also the cooking ambassador for Miele, a natural fit given his belief that a great meal is best achieved with excellent ingredients and quality equipment. In his role as ambassador, Bennett has inspired the team of Miele culinary experts who host cooking demonstrations at Miele Experience Centres around Australia and New Zealand. He has shared with the team his cooking techniques and develops recipes to showcase innovations of the company’s new cooking appliances. Bennett says, “It’s really important to test drive the appliances you use the most in your kitchen, the ones you use on a daily basis”. “The cooktop, fridge and oven would be at the top of the list. With all the technological advancements across these appliances, it’s important to play around with them to get the most out of each. The Experience Centre is like a futuristic temple to cooking, where visitors can view, touch and test-drive the latest appliances. The gadgetry is certainly impressive: cooktops and ovens feature an enormous range of high-tech functions and programs. Manager of the Miele Experience Centre South Melbourne, Gail Edwards, says visitors are offered a coffee while they explore the centre. Expert staff are available to answer questions, demonstrate appliances and offer advice. High quality is apparent just by looking at the appliances. They are German engineered and tested to the equivalent of 20 years’ usage. For example, the ovens are tested for 4000 operating hours. Oven doors are subjected to 24,000 opening and closing cycles – the equivalent of 24 times a week over 20 years. Edwards recommends customers attend a pre-purchase demonstration for any appliance they are interested in at a Miele Experience Centre. The kitchen demonstrations are conducted by Miele Culinary Experts in a purpose-built kitchen within the Experience Centre and run for about 90 minutes. Participants are shown how various appliances and their features work and how to get the best out of them. Post purchase demonstrations are more specialised, focusing on a particular appliance. For example, at the Steam Combination Oven class, a Miele Culinary Expert will open your eyes to fresh cooking methods by combining steam functions with conventional features. Unlike most “combi steamers”, this oven allows precise control over moisture from zero to 100 per cent. Its steam generation and oven functions can operate independent of each other – it can be used as a pure steam oven or a pure conventional oven. By the end of the class, you’ll appreciate the difference you can make by varying cooking functions, temperatures and moisture levels. The induction cooktop demonstration provides tips on how to use its various functions to achieve different cooking results. 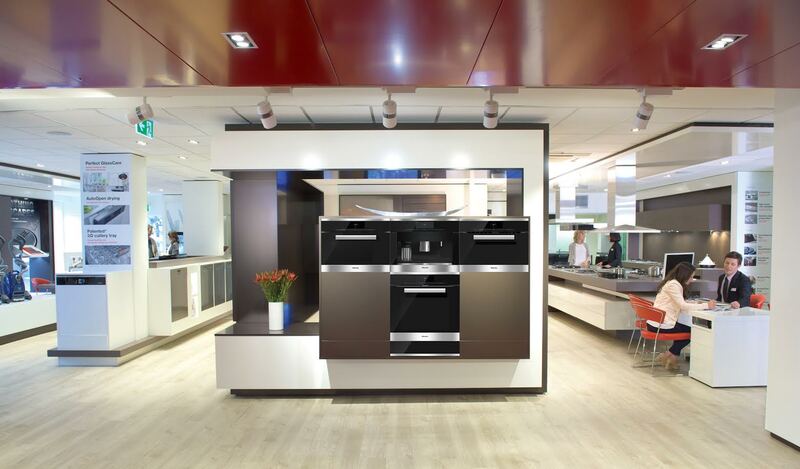 A Miele Culinary Expert will show you how to take advantage of extremely short heat up times. You’ll also get to sample a range of dishes. It’s important to Miele that you get the most from your appliances. The cooking demonstrations are complimentary to ensure you have the opportunity to test drive before you buy, as well as get the most from your appliance after it’s installed. Do you have enough money to invest in real estate?